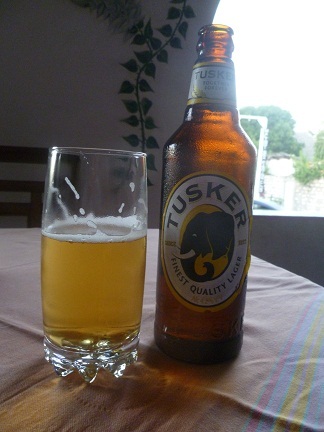 Drink on the eastern side of the African continent can appear limited to locally-brewed international soft drink brands. Coca-cola for instance, is one of the only international bodies to seemingly recognise the existence of Somaliland, the breakaway republic within Somalia, with a plant in the capital Hargeisa. That is, until you delve into the gloomy and uninviting sometimes fly-ridden establishments. At first its difficult to pick them out, unnamed as they are. The rough wooden benches, plastic tea urns, or a patio chair soon become recognisable signs. Sometimes they come close to a recognisable café: a small side-table surrounded by a cluster of chairs, watched over by a half-interested waiter. It’s in these places a community lives. (Where international celestially-named tax-dodging coffee chains are present, they are almost always devoid of custom). It’s in the small local stops that at the very least tea – black or with condensed milk, always packed with sugar – is available. Often coffee from freeze-dried granules, sometimes even a loose-form of milkshake (whipped milk rather than the thick U.S. variety) is purchasable. Fruit juice, strangely, is almost universally impossible to find. 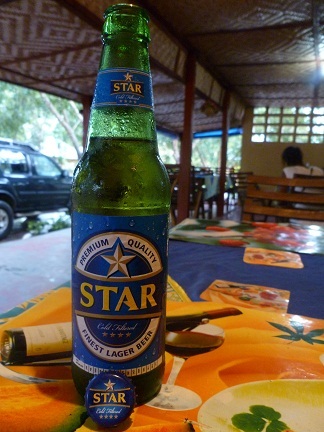 For alcohol, if it’s lawful (Sudan is dry at ground-level, meaning you can find a drink in the top hotels alone) the choices are locally-produced hooch: palm-wine, sugarcane spirits, and Heineken; or local lager. The latter is the best option if you want to go home being able to taste, see, and with money in your pocket still. It’s rarely cold, but normally superbly drinkable if a little heavy on hops, meaning I had a desist/insist relationship with the stuff. Stout, other than one particular Irish drink, is unheard of outside of the South African sphere of influence (Namibia, South Africa itself, southern Mozambique). Perhaps this is because its calorie-dense darkness is a little heavy on the stomach in the heat.